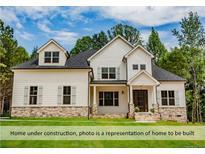 Below you can view all the homes for sale in the Northington Woods subdivision located in Mooresville North Carolina. Listings in Northington Woods are updated daily from data we receive from the Charlotte multiple listing service. To learn more about any of these homes or to receive custom notifications when a new property is listed for sale in Northington Woods, give us a call at 704-960-1598. The quiet custom home community offers boat storage lot as part of the HOA. MLS#3456491. EXP REALTY LLC. Coffered ceilings in the great room, enhanced molding through out the home, shiplap accents and floor board outlets are just a few of the finer qualities of this home. MLS#3450041. EXP REALTY LLC. Smooth, easy transaction will make your home-buying a breeze. MLS#3448901. RE/MAX Executive.